It was minus two when we waved goodbye to the little corner of east Scotland which had been home for the past few days, sad to be leaving but excited for what lay ahead. On the ground a thick frost sat heavy but with the sun already climbing into another crystal clear sky that wouldn’t last for long. 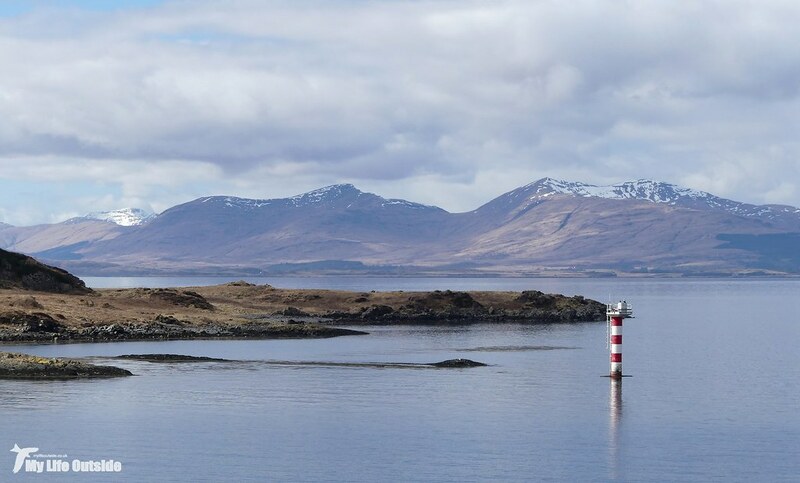 Perfect conditions for a journey right through the heart of the highlands to where the ferry waited at Oban to whisk us off to Mull, that Hebridean wilderness which keeps calling me back time and time again. Needless to say the scenery along the way was spectacular. Snow capped peaks thrust their way into the deep blue sky whilst burns followed the twisting road before opening up into vast lochs whose mirror like surfaces reflected the surrounding landscape almost without flaw. Our first Hooded Crow of the trip swept down just after Tyndrum and it was only thanks to some evasive manoeuvring that a Red-legged Partridge didn’t become ever so slightly squished. Buzzards seemed to be on the wing wherever we went and a brief stop at Loch Earn delivered a female Goosander and surprise Dipper. 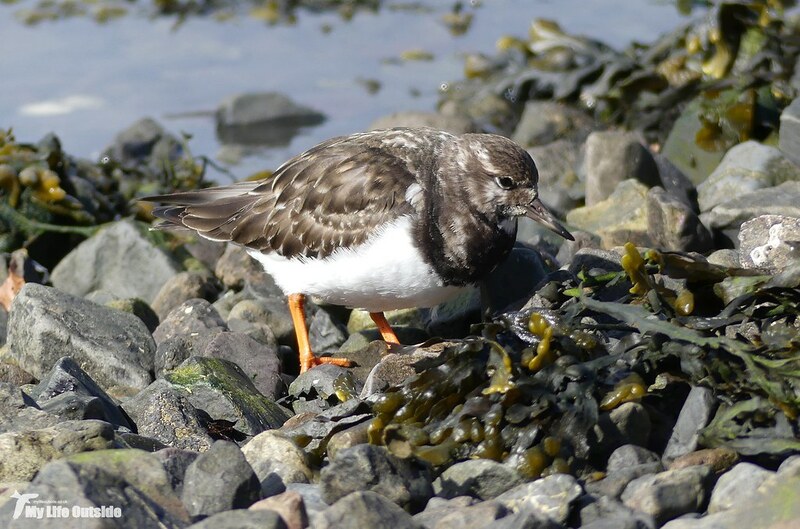 Further birding en-route became increasingly difficult as the road surface deteriorated until in places emergency speed limits had been enacted due to it being impossible to tell where the potholes finished and road began. That such damage had been enacted in just a few months since we last passed this way is testament to the ferocity of a winter which we’re still now struggling to escape. Even so I couldn’t resist a sneaky scan of the waters as we entered Connel, a pair of Eider and small flock of Wigeon my reward. Then before we knew it we were dropping down into Oban, the MV Isle of Mull already at berth and off in the distance our first glimpse of the snow covered peaks of Mull herself. With a couple of hours to kill before departure time we stocked up on food and other essentials before walking the seafront. 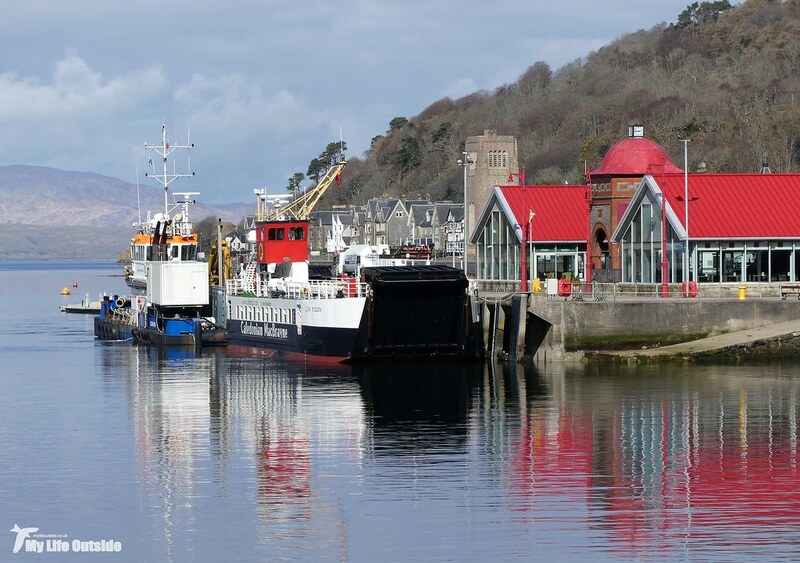 Compared to our early morning departure last October Oban was positively bustling with traffic filling the narrow streets and people everywhere. 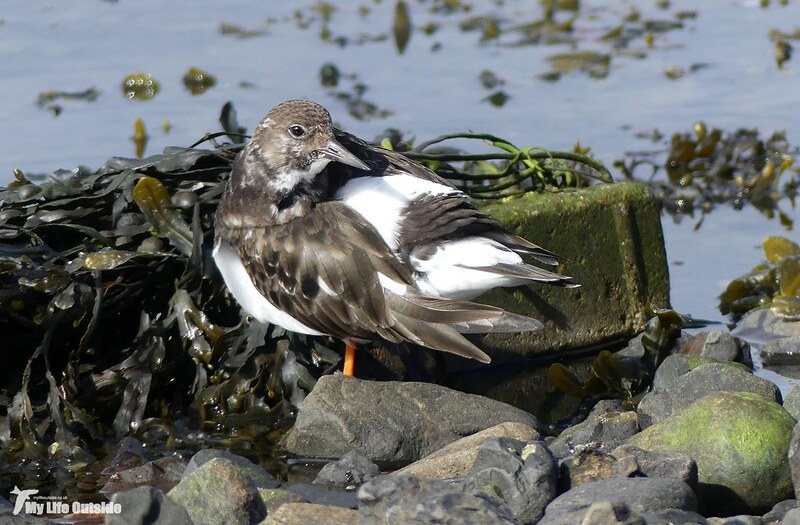 Yet just a few metres away on the beach sat a small flock of twenty Turnstone, the click of each turned pebble ringing out clearly above the background hum. Out in the harbour three Black Guillemots were looking resplendent in their summer plumage whilst Common Gulls and Herring Gulls did their best to catch unwary chip eaters off guard. 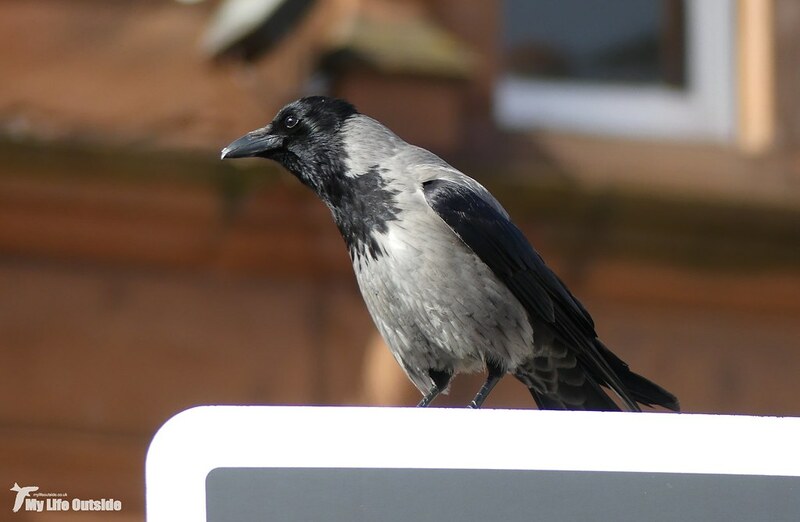 Keeping an equally intense watch was this Hooded Crow, a species which historically I’ve had a tricky time getting on camera. Great wildlife but really this was all just a preamble to the main event and at just after two we finally cast off, not due to return to the mainland for a fortnight. 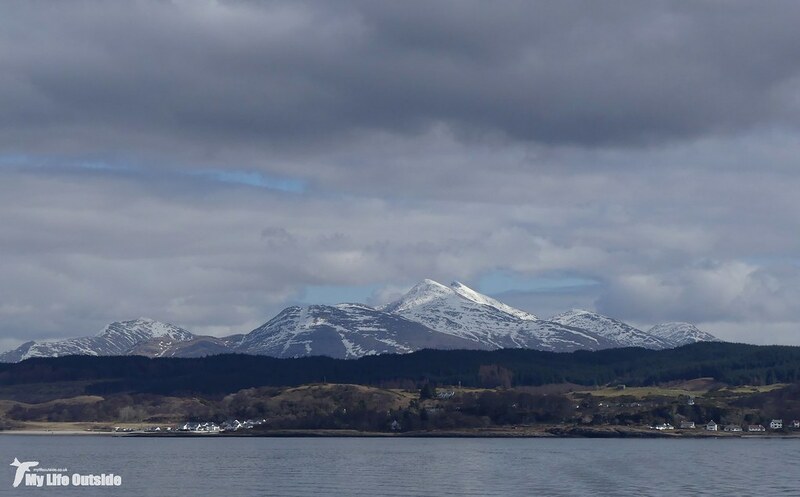 As Oban drifted into the distance we passed a lone Razorbill and several small flocks of Guillemot whilst behind an ever expanding line of snow capped mountains began to emerge. 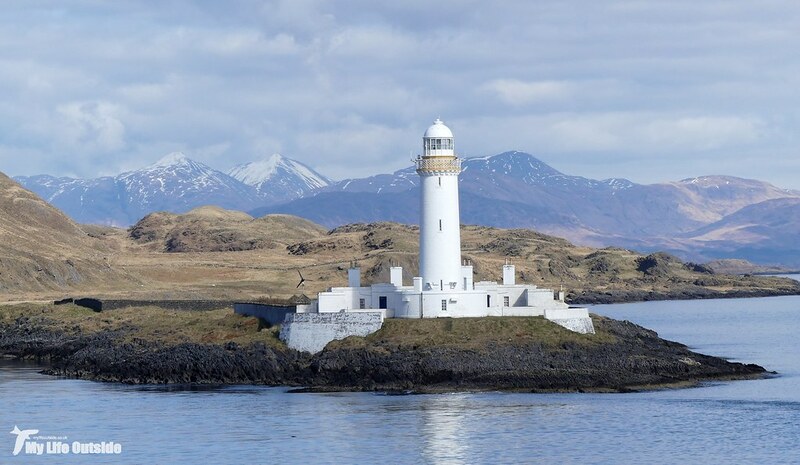 By the time we were passing Lismore lighthouse it was as if Scotland had decided to put together a greatest hits selection, classic views set against a sea at flat calm. 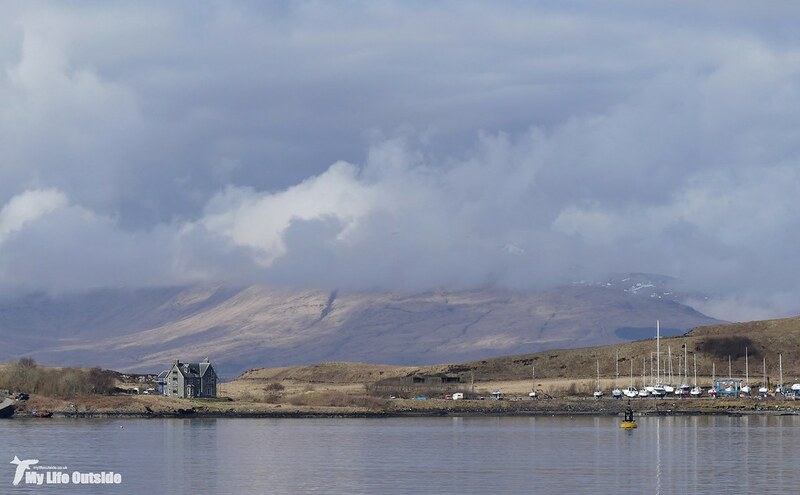 Disembarking at Craignure you could almost feel the weight of the last three months dropping away as our new focus became one of walking, wildlife and relaxation. Straight off the bat we were picking up Great Northern Divers, Curlew and Red-breasted Mergansers not to mention a couple of island rarities including three Bar-tailed Godwits along Loch na Keal. 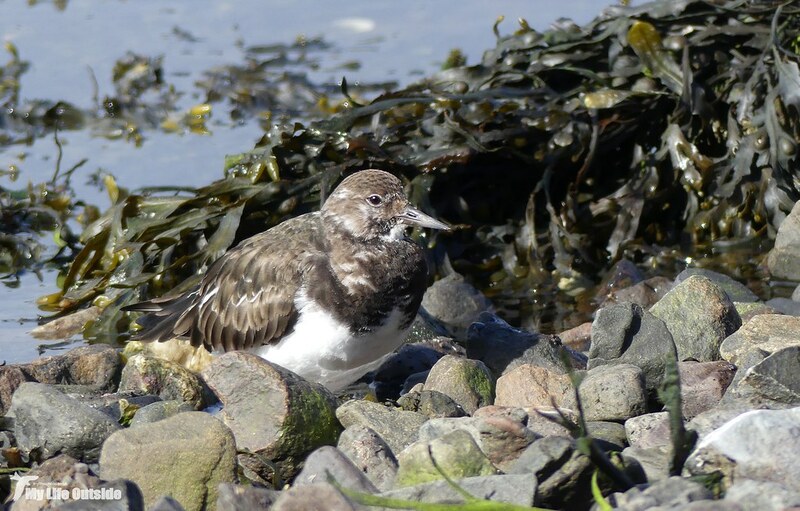 Probably my most satisfying sighting of those early minutes however was that of six Lapwing displaying near Ulva Ferry. It’s been years since I last saw such a sight here and with the area looking suitable for breeding well, hopes are high. We arrived at the house late afternoon having survived some of the worst road surfaces I’ve ever experienced on the island. I couldn’t help but feel that the lone council worker we’d passed valiantly filling potholes wasn’t really up to the job but as ever, funding is an issue and complete replacement is unlikely to happen any time soon. Quite how much further damage summer traffic will do is anyone's guess. That’s to worry about another day though as for now we were simply happy to be here, looking out on a landscape which feels as much home as anywhere I’ve ever lived. There was still one thing missing however in order to make us feel truly settled and as if on cue two Golden Eagles appeared off the headland, one climbing before diving down at incredible speeds. Quite which birds now occupy this territory after the passing of the old male a couple of years ago I can’t be sure but I hope to get a whole lot better acquainted over the coming days. Lovely photos and commentary on your trip to a favorite place for me. Red Grouse, in Snow, in April!